Pirates, Paladins, and prehistoric man. Come check out this week’s batch of Kickstarter highlights! 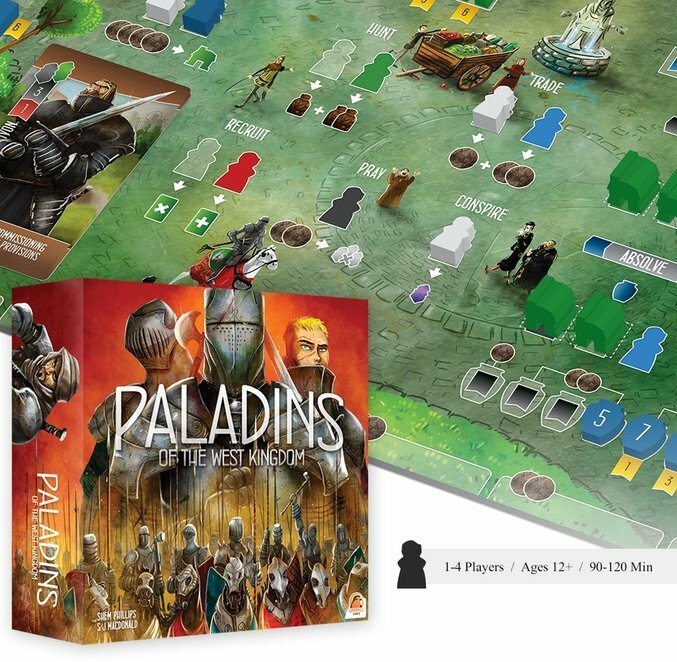 Let’s start things off with Paladins of the West Kingdom, the highest-funded campaign in today’s article. It’s 900 AD and West Francia is surrounded by rival kingdoms greedily eying their borders. Luckily, the King has sent his greatest knights to aid you in the coming conflict. Players compete for glory by fortifying Francia’s defenses, recruiting monks to spread their faith, and fighting skirmishes with outsiders. Pledges start at $56 for the base game. Eagle-Gryphon Games is currently funding a completely remastered version of Age of Steam. 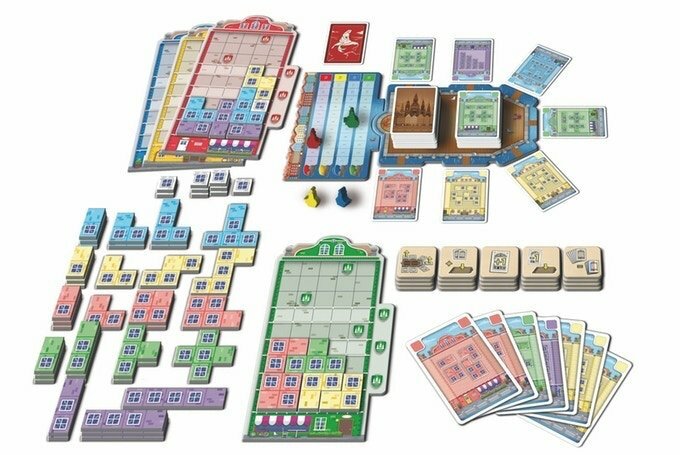 This classic railroad-building board game is being remade by Ian O’Toole, and will feature all new art and premium components, all while keeping the core game familiar to fans of the original. You can get the Deluxe Edition and the Wooden Locomotive set (which features 150 18mm wooden trains) for $79. 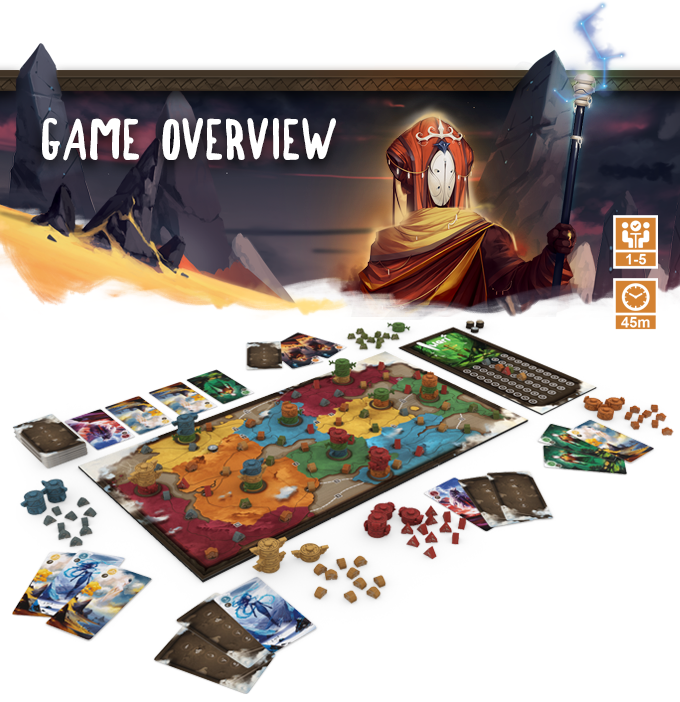 Daily Magic Games is looking to fund a pair of new expansions for their fantasy card game, Valeria: Card Kingdoms. 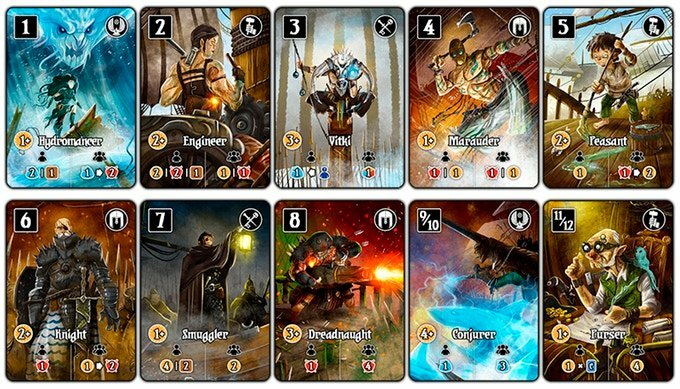 The campaign consists of Crimson Seas and Ward Towers, two new expansions that add tons of new mechanics and cards. They are also creating Corsairs of Valeria, a standalone dice-based board game set in the same universe. You can get all three for $45. 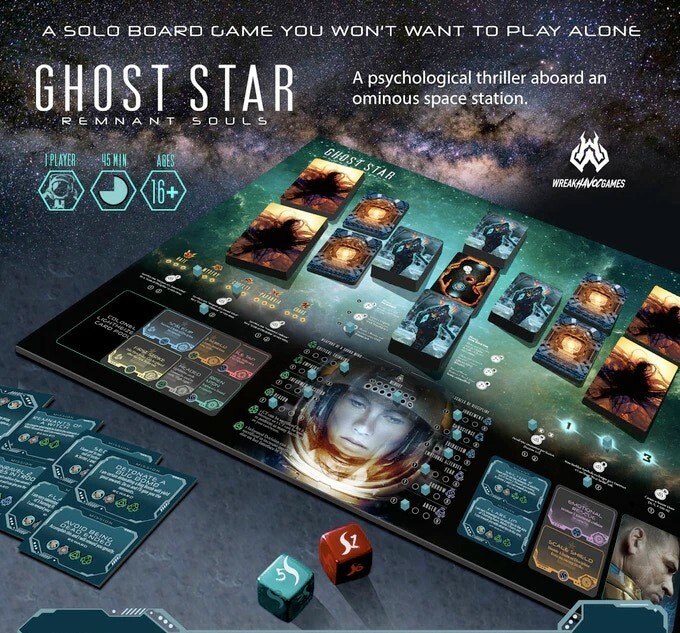 Ghost Star is a solo sci-fi psychological horror adventure game. You play as Captain Meg Ohtani on her expedition to explore the Ghost Star, a space station that has been overrun by mysterious, shapeless entities. Manage your resources, and your sanity, as you fight alien creatures that attack their victims by inflicting them with living nightmares. You can grab the deluxe Supernova Edition for $52. Iwari is an abstract strategy and exploration game. Humanity is in its infancy, and the scattered tribes have begun to leave their ancestral homes to settle new lands. Score points by establishing interconnected settlements along trails in five different biomes to claim your place as the dominant tribe in the land. You can buy the deluxe edition for $68. Finally, we come to Copenhagen, a strategy game that uses elements of set collection and Tetris-style placement. Players are architects remodeling buildings in the picturesque city of Copenhagen. Collect cards to trade in for colored tiles that you place on building facades. Chain together colors and windows to maximize your points. Pledges start at $50.